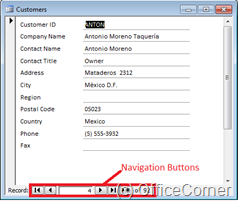 As your database grows, navigating through records using the built-in Navigation Buttons of Microsoft Access forms becomes tedious. 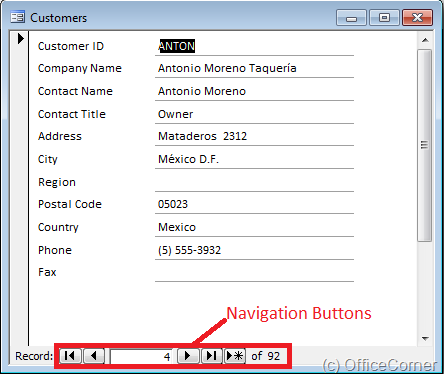 Make finding records, such as your customers, much easier by adding a dropdown list on your Microsoft Access form. Watch the video below to see the full steps in action. In Design view, click the Combo Box control from the Toolbox toolbar. Using the mouse, drag the outline of the Combo Box on the form. The Combo Box Wizard opens. Select the option to Find a record on my form based on the value I selected in my combo box. Click Next to continue. Select the field (column) to use in the drop down. Complete the steps of the wizard. Switch to Form view. Making a selection in the drop down brings up the record within the form.